Nobody thought that Twitter would be so successful but then nobody had thought the same about SMS as well. The simplicity and non-intrusive nature of SMS made this paging like service popular amongst mobile users. Twitter brings together the conversation of social network and brevity of SMS to provide super fresh real time updates on the web. Success of Twitter confirms my belief that the future of social networking is on mobile. Twitter is a free social networking and micro-blogging service that enables its users to send and read messages known as tweets. Tweets are text-based posts of up to 140 characters displayed on the author's profile page and delivered to the author's subscribers who are known as followers. One might wonder what can one write in just 140 characters but people have found the knack of communicating in less words and use smaller URLs to share links. It is the cocktail of social networking, live search and link sharing that makes Twitter so popular. There are many third party companies that have made search a live stream of tweets possible (I missed the live stream search in my post on Future of Mobile Search). I do not know if this is an early trend in replacing the hegemony of Google on search as the Google algorithm does not make live search possible. What is the business model of Twitter that gives them the confidence of not only getting a billion users by 2013 but also becoming a billion dollar company? In this post, I have tried to list a few options in front of Twitter some of which are in active consideration by Twitter. Advertising: This is the most common business model for any internet venture and certainly is applicable on Twitter as well. Given the high user base of Twitter and the relative high number of tweets, there are ample of opportunities for advertising. Advertisements can be either be on the SMS alert or in the feed. E-Commerce: I read about an interesting news article on New York Times on the possibility of Twitter offering shopping advice and easy purchasing (Link). The platform is designed in a way that it can offer advice to shoppers and companies do promote their products on Twitter. What is needed is to enable the payment platform and convert Twitter into the biggest e-commerce site in the world. Monetize Data Mining: Twitter is a gold mine of data and rich information can be taken out of it even without compromising the privacy of the users. This information would benefit the companies a lot in designing and targeting the products to the right consumers. The companies are spending a lot of money on consumer research to be able to get this kind of information and would be happy to get it from Twitter for a fraction of their current cost. Freenium: Twitter can follow the model that is being followed by LinkedIn or many other internet ventures, which is keep the basic service free for consumers but premium comes with a price. Corporate may be charged for customizing the homepage theme to match their corporate theme or special applications may be developed for the enterprises for a fee. There are reports that Twitter is already thinking in this direction. SMS Revenue Share with Operators: A lot of SMS are getting generated because of Twitter. Twitter can force the operators for revenue share from the SMS revenues. Though this is a difficult but operators will not be able to block the service due to its popularity. Revenue Share with Third Party Companies developing Twitter related Applications: A large number of start-up firms have developed applications related to Twitter and are monetizing the services offered by them. Twitter may decide to charge for API sharing when being used for commercial purposes. Utilize the Twitter Platform to enter into other services: How about Twitter syndicating the newspaper for you with the relevant tweet feeds. This newspaper can be generated on the fly and can be customized to individual needs. Just a couple of days back, Twitter announced its intention to geo-tag the tweets. This could help Twitter to create a customized hyper local newspaper. Other services that Twitter could get into are local search and advertising. A lot of companies promote their products on Twitter an offer discount coupons to their consumers. Twitter, with geo-tags, can make the promotions more targeted bringing down the overall marketing spends for the company. The most critical thing for Twitter would be to keep itself relevant. The trends are set by youngsters on the net and their preferences do change. Social Networking was such a rage till last year but now its growth is in line with growth of internet. Hence, Twitter would need to keep up with the changing taste of users. Twitter currently has over 40 million users but as per Nielsen estimates, the retention rate is just 40% and many people drop the service after a month so the site may potentially reach only about 10% of all Internet users. Another article by Gizmodo points to the fact that only 5% users of Twitter have over 100 followers and just 5% of “loud mouths” are creating 75% of tweets. If Twitter is unable to broad base the usage, it may fail to attract the enterprise customers. Also Read: Marketing Professionals – Do you have a Social Media Strategy? 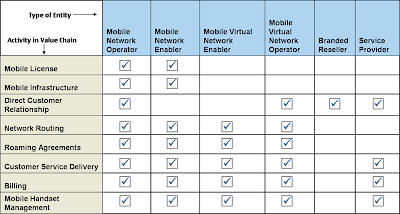 The fourth entity depicted as MVNO in the above diagram is essentially the “Thick MVNO” and is the most prevalent form of MVNO. Key examples of Thick MVNO are Virgin, Lebara, Helio and while that of Mobile Virtual Network Enabler (MVNE) are Ztar, TMNG, Convergys and ASPIDER Solutions. MVNOs normally try to leverage on one of the three strategic assets – Brand, Distribution or Existing Customer Base. The existing customer base can be non-mobile customer base that can be cross-leveraged for mobile services. There are MVNOs that try to offer better services for their customers, e.g. Rabo Bank launched its own MVNO to serve its banking customers better. Communities of interest can come together to form a community MVNO, e.g. fans of Manchester United or McLaren can potentially brand an MVNO to display their sporting affinity. Wal Mart can use its distribution reach and loyal customer base to venture into the MVNO space. Why do carriers (MNOs) find MVNOs attractive? Operators look at MVNOs as an outsourcing partners to either reduce cost or increase productivity by reaching out to more customers profitably. No market is homogenous and consists of various segments which may not be equal in size. Operators may find it difficult to profitably target all the segments. MVNOs are a medium to implement a more specific marketing mix to suit the needs of the niche segments. MVNOs also help carriers reduce their costs as they take away a significant portion of operator costs like customer service delivery, billing, marketing, etc. MVNOs are able to offer these services at a lower cost by leveraging on their current assets. MVNOs may also help increase the revenues by way of reduced churn and increased ARPU. Operators are particularly interested in MVNOs to better utilize their excess capacity. They can off load their excess capacity at marginal costing (at a discount to the normal tariffs) and can thus offer discounts to specific segments without having to offer it to its entire base. Despite the benefits that MVNOs can bring, the current share of subscribers in most of the markets they operate in is less than 10%. I am not sure if any MVNO is really making enough money to cover its expenses. The reason for this is that there is now a new entity in the form of MVNO that is trying to gain a pie of the value chain without increasing the value of the chain. This means that the margin needs to come from the carriers or through operating efficiencies. There is not enough inefficiency in the operator domain and hence the high margin opportunities are limited. The carriers are already under margin pressure and have a threat of getting marginalized and hence feel squeezed with the arrival of MVNOs. An MVNO is only as strong as its ability to differentiate its services. An MVNO can differentiate itself through niche segments, its distribution depth and loyal customer base. There are three key areas that most new entrants simply have not thought out either tactically or strategically: distribution, customer churn and industry technology. In many cases, the MVNOs do not have a clear technology roadmap and hence are not able to transition from 2G to 3G to 4G. Being asset light (read headcount), most of MVNOs have a limited ability to forecast future trends, pace of technology changes and hence miss out on opportunities. They have limited access to latest handsets in the operator driven markets unless they tie-up with the operators themselves for the handset deals. 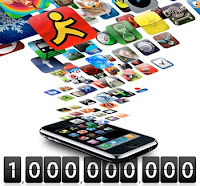 Apple Application Store delivered its billionth application to its user on 23rd April. I do not know if Apple is the first front store to clock a billion downloads but certainly, it is the most talked about application store. The hype created by Apple around applications has made the phone much more personalized and useful to the user. Will Apple be able to sustain the hype is yet to be seen but one thing is certain, the competitive landscape would be very different in this space in the years to come. Operators and a few third party stores have been offering the applications for a long time now. Most of the operators have their own content portal from where the users can download the applications. Vodafone has “Vodafone Live”, NTT DoCoMo has “iAppli” and Airtel has “Airtel Live” as portals from where applications can also be downloaded. However, after the launch of Apple Application Store, many other device vendors like Nokia, Palm, RIM and Operating System owners like Google and Microsoft have announced their own specialized applications store. The strong competition from the new players is forcing the operators to alter their strategies. It is important to understand the economics of applications to be able to fully appreciate the recent competitive intensity in this space. I will use Apple as an example simply because there are more data points available for Apple. Apple Store has seen downloads of 1 billion applications and if we assume that iPod users would have downloaded 38% of these applications (out of 37 mn Apple devices, 23 mn are phones and 14 mn are iPods), then the iPhone users would have downloaded 620 million applications. Out of these 620 million applications, 75% are free applications (based on a survey by Wireless Media Lab, Mar’09) and paid applications had an ASP of approximately $1.1 (most downloads were at 99 cents price point). This means that the iPhone owners paid $171 million as revenues to the Apple Store since the store was launched in Jul-08. Taking a 30% revenues share for Apple, Apple’s net revenues were $51 million ($68 million annualized). This may not be a big amount but considering the pull these applications have, the actual benefit get reflected in the device sales and lower marketing efforts for Apple. Counting the iPod revenues as well, the total store revenues would be in excess of $80 million for nine months. According to Strategy Analytics, Apple has currently a 12% market share by volume in the mobile application market. If Apple iPhone sold 620 million applications in 9 months time and taking its market share up to 15% by 2009 end, then the annual applications demand in 2009 is likely to be 5.5 billion which is huge!!! The market ASP on an application is around $1.5 (much higher than Apple as Apple has 75% of its download as free vs. 40% free application downloads for the industry) which means that the total applications market is worth $8 billion. 67% of all the application downloads happen through the operator portal or BREW and the rest by other players. Developers get 70% from the device vendor stores, 60% from 3rd party stores and 50% from the operator portal. This means that the developer’s share of revenues is 53% on average or $4.3 billion out of a total of $8 billion while the operators earn $2.8 billion from revenue share apart from the access charges. The non-operator store owners get the rest of the money i.e. $0.85 billion. The total revenues from applications are expected to double to $16 billion by 2013. Apart from the revenues from the application sales, another stream of revenues is advertisements which could in fact exceed the revenues from application sales in the years to come. Apart from the revenues that the application stores can drive, there are other indirect benefits of promoting application usage. It is a well established perception that Apple users have a much higher ARPU than the other device users. The Apple users are also likely to be more loyal to their carriers. Now, that is a game changer for operators. Carriers gain the most from the success of the application stores irrespective of who owns the stores. However, the operators still have a fear of getting marginalized and hence are planning to strengthen their own stores and platforms. Vodafone recently announced its intention to open its network from 3rd party developers. Multi-country operators like Vodafone with large customer base can afford to develop their own platforms but the smaller single country carriers would be left with two options – Either “Do Nothing” and still gain from the revenue share and access charges on account of increased downloads. Alternatively, they can form alliances with other operators across the world and have common platforms. Vodafone has an alliance with Verizon and China Mobile, SingTel has an alliance with Telstra, Airtel, Globe and others. These alliances will provide strength to the carriers in future. Alliances can also be formed with 3rd party storefronts as they may not pose a huge threat to the operators. Amongst the device vendors, there are two categories – One that has a huge focus on application stores like Apple, Nokia, RIM, etc. and others like the Korean vendors who have a “Me Too” strategy for application stores and would not like to antagonize the operators by focusing on application store. Operators may want to tie-up with the second category of vendors but the consumer pull may force them not to ignore the first category of the device vendor. The wireless business models are being redifined and with different ambitions of the entities in the value chain, the power game is now getting interesting. Mobile payment is a part of the mobile transactions and is catching the imagination of a lot of people. This is clear evident from the number of comments I got on my last post “Mobile Payments – Will the Consumers Adopt it”. In the last post, I had discussed the consumer issues. Now I am going to talk about the emerging business models in the mobile payment space and the pros and cons of each of the model. Carrier Dominance Model – In this model, the carrier is responsible for all the roles across the value chain, i.e. carrier is the acquirer, payment network as well as the issuer. The carrier provides the mobile payment application to the customer. The customer holds a prepaid or a postpaid account with the carrier. When the customer pays through his mobile, the bill is charged to his prepaid or postpaid account. The entire network and interchange is managed by the carriers themselves. The PoS is also provided to the merchants by the carrier. The payment to the merchant can be made using NFC or Peer-to-Peer SMS. DoCoMo used this model by creating an e-wallet using Sony’s FeliCa technology for its NFC based proximity payments and GCash is another example of operator centric Peer-to-Peer SMS based payments. Mobipay in Spain is based on carrier dominance model as well. However, it is unlikely for this model will succeed in the long run as the carriers need to behave like a bank here and carriers are not banks!!! The merchant and customer trust is missing in this case or to put it in other words, the level of trust for a carrier is not at the same level as that for a bank. Moreover, the cost of recruiting a merchant is too high and there are no synergies expected from the current carrier operations on this count unlike banks which already have business relationships with the merchants. The carrier carries the maximum risk and reward in this model. The risk appetite of carriers may vary across regions and geographies. It would be a significant change to operator business as operators would need to focus on new areas which are very different from their traditional core. Bank Dominance Model – In this model, the financial institutions takes the center stage and is similar to current credit card system. The merchant acquiring banks and issuer banks could be different and the payment network could be managed by yet another financial institution like Visa or MasterCard. The only difference here is that instead of the credit card, the phone is waved in front of the PoS. This model leverages the existing card payment system. The mobile wallet is issued and provisioned by the banks just like the credit cards. The payment to the merchant can be made using NFC or Peer-to-Peer SMS. 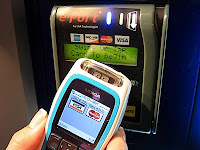 MasterCard Paypass based mobile payments is a prominent example of this model. Collaboration Model – This model is about collaboration between the carriers and the banks who can distribute the roles of the value chain amongst themselves. The carriers typically are responsible for providing and provisioning m-wallet on the consumer’s hand phone apart from the providing the POS equipment to the merchants. The roles of acquirer, payment network and issuer remain with the financial institutions; one or more financial institutions may collaborate together in assuming the roles of acquirer, payment network and issuer. Collaboration Model is seen as most feasible because it allows the stakeholders to focus on their own core competencies, opens the door for new revenue from incremental services, drives customer retention and loyalty, and responds to fundamental demand from customers. All in all, this seems to be a good model. In a survey conducted by Smart Cards Alliance, 86% respondents supported this model as having the greatest potential for long term success. However, there are complicated relationships and hence complexity in negotiating deals amongst players. SK Telecom Moneta is an example of real-world rollout of collaboration model. Peer-to-Peer Model – This model is has been made popular by new entrants in the payment industry like Paypal, Obopay, mChek, etc. The 3rd party company acts as a conduit between the customers, merchants and the bankers. The 3rd party service provider takes the payment from the customer, deducts its commission and passed on the payment to the merchant. It also pays the payment processing fee to the bank or the payment gateways like Visa/Master. The transaction is done Peer-to-Peer between the customer and the merchant. This model is significantly different from the other three models I have discussed and it threatens to eliminate the existing payment ecosystem as the role of the banks and the payment networks gets diminished. Moreover, the money can be transferred from one person to another in this way. Hence this model impacts the business of money transfer (international and domestic remittances). This model is particularly applicable in the emerging markets where the vast majority of individuals do not own a bank account. Regulatory is going to define which business model would be ultimately adopted in most of the emerging markets. The central banks across the world are reluctant to allow outsiders (read non-banks) to run the mobile payment service. The insistence on having a bank as collaboration partner ensures a significant role to the banks. What’s in it for the ecosystem players? The opportunity is big for all the players and what is needed is collaboration between them so that the opportunity can be profitably exploited. According to Mckinsey in its latest report titled “Making Mobile Payments Pay”, the small transactions (< Euro 20) value in Europe is $ 200 billion per year and for mid size (Euro 20-40) transactions, the value is $2.5 trillion per year. On top of this, the annual international remittance is to the tune of $250 billion. Even 0.5% transaction fee on the above gives a huge potential for the mobile payments. The need of the hour is to work out a ”Just & Fair” collaboration amongst the different players. This opportunity would not only help reduce the risk of marginalization of carriers but would also help the carriers increase their EBIDTA. The players need to understand that the consumers value simplicity and security which can only be provided if all the players collaborate to arrive at the common platform and build enough trust in the minds of the consumers towards this service. Mobile Payments - Will the Consumers Adopt? Have you ever wished that you need not carry a fat wallet in your pocket? You wallet typically has paper bills, a few coins and loads of cards (credit, debit and loyalty cards). It is a real pain carrying this fat wallet around. For small payments, the credit card still cannot be used as the cost of transaction to the merchant is a minimum of 20 cents and hence the merchants refuse to accept the cards for low value transactions. Mobile payments promises to provide an alternate payment mechanism that would not only lower the cost of transactions but also will be more secure. Also, the adoption is likely to be higher as there are more subscribers of mobile phones than the credit or debit cards especially in emerging economies. I have already predicted in one of my earlier posts that that Mobile Money Transfer would gain traction in 2009/2010 (My Predictions for Telecom Industry in 2009/2010). Mobile payments are a subset of broader term “Mobile Transactions”. Mobile transactions could be of various types like the mobile payments, mobile ticketing, mobile banking and mobile loyalty. Mobile payments are remote or in-store payment transactions that are conducted on the mobile phones. There are various methods of making the payment from SMS to contactless Near Field Communications (NFC). There are many benefits of mobile payments. In the emerging markets, over 75-80% of the transactions are cash based with no accountability for a large part of it. We call this parallel economy. This parallel economy is essentially created to avoid taxes but now there are concerns of terrorists getting money through money laundering which is an off-shoot of the parallel economy. To reduce the size of parallel economy, it is important to maximize payments through credit cards, debit cards and other forms of electronic transactions where there is money trail. Mobile payments are one significant step in that direction. Mobile payments would not only bring small transactions within its scope but also would have a higher reach as more people have mobile phones than other forms of electronic payments. Other benefits of mobile payments are convenience and speed of transactions. There are three types of mobile payments: Remote payments, proximity payments and peer-to-peer payments (including remittances). Proximity Payments – The contactless NFC holds significant promise in proximity payments and is particularly appropriate for low value transactions in high volume retail points. Mobile payments are being pushed by Visa and Mastercard as the way to pay for the estimated worldwide total of US$724 billion transactions for less than US$25 (source: MasterCard International). Strategy Analytics estimates 1 in 5 handsets would be NFC enabled in 2012. Peer-to-Peer Payments – This is a big opportunity as currently the international remittances is over $250 billion a year and add to this the domestic remittance, the value of such transactions is likely to cross $ 1 trillion. On top of this, think about a situation where your kid has run out of money while trekking in a remote location and you can transfer the money using your mobile. This is a huge opportunity to miss. In case of remittances, the commissions are as high as 15% plus the inconvenience of visiting the agent’s office to send or take money. The mobile remittances promise to remove the inconvenience as well as lower the transaction cost. GSMA (GSM Association) has taken up mobile money transfer as one of its major projects. A few successful examples of Peer-to-Peer transfers are M-Pesa of Safaricom in Kenya and GCash of Globe Telecom in Philippines. Juniper estimates that for purchases via mobile devices of digital and physical goods, contactless NFC (Near Field Communications) transactions and money transfers will together generate transactions worth over $600bn globally by 2013 with over 1 billion people using mobiles for transactions. Half of the $600 billion is expected from the mobile payments and the other half from money transfers. Carriers: It was earlier thought that the carriers would be spared from the impact of economic crisis. However, it is increasingly evident that they are indeed getting impacted due to restricted access to capital and consumers limiting their usage. In many emerging markets across Asia and Africa, the operators are small and dependant on the foreign capital to expand. The operators are constrained not only by the capital for investment but also by the lack of working capital. Lack of new investments is having an adverse impact on network coverage expansion. 3G auctions planned in many countries have also been shelved for fear of non participation by large operators. Investments in new technologies like LTE and WiMax are likely to be scaled down and I would not be surprised if many proposed installations of WiMax are permanently permanently after reviewing the business plans in light of current crisis. International long distance carriers are likely to see sharp fall in the traffic, due to lower IT spending and lower cross-country investments, which is unlikely to be compensated by the increase in traffic due to travel restrictions across the companies. The operators may resort to tariff reduction in a bid to increase the minutes of usage (MoU) but this would restrict their ability to offer flat data prices or other innovative data models. I foresee consolidation happening amongst carriers as the weaker ones bow out of the industry. The operators would do well by concentrating on cost reduction initiatives. They may follow the initiatives of the Indian operators by adopting light-asset operation models, putting greater pressure on equipment vendors to adopt new models like managed service and capacity service. The carriers would do well by actively engaging in all kinds of infrastructure sharing opportunities. The cash rich operators may look for new M&A opportunities and cash strapped carriers will do well by limiting the handset subsidies. It is estimated that the industry spends over $50 billion in handset subsidies alone. Handset Vendors: Handset vendors were the first ones in the ecosystem to feel the pinch of the economic crisis. The replacement cycles lengthened which resulted in the lower replacement volumes and overall demand for new phones. At the same time, the device vendors witnessed heavy down-trading of devices by consumers leading to lower ASPs. The operators in the developed economies started to reduce the subsidy which also had an adverse impact on the value of the market size. The consumers on their part started to go for lower value contracts when their contracts were up for renewal and that lead to further erosion of device ASPs. Various device vendors and industry analysts have estimated the demand to be lower in 2009 by 5-10% over 2008. Handset vendors need to focus on the costs and supply chain. Vendors may need to shift their high cost manufacturing units to locations where the cost of production is lower. New cross currency dynamics may also play a part in optimizing costs. They also need to rationalize the number of models to have better utilization of marketing monies. The emerging markets like India, China, Nigeria, etc. have been adding record subscriber additions which to a large extent are compensating the device vendors for loss of replacement volumes. The handset vendors should focus on value for money models and can learn from their experiences in emerging markets. I mean they can launch highly successful models of the developing countries in the developed markets and thereby increasing their market share as well as lower the cost of the model due to economies of scale. The handset vendors may also need to take a relook at their business models, partly due to the fact that carriers across the world are reducing subsidies and partly to emerge as end to end solutions player (e.g. RIM, Apple). The lower margins in the devices can be off-set with some of the services revenues if the solution is easy to use and relevant to consumer needs. Equipment Vendors: The equipments vendors would be under pressure due to reduced investment by operators. However, if they focus on the managed services, they can get additional recurring revenue streams that would make up for the lower spending on network. The equipment vendors should wear the consulting cap and develop a provocative point of view on critical issues (like mobile broadband) that would entice the customers into spending. The vendors should try to develop new business models based on revenue share rather than fixed costs where the payments are linked to the benefits that the customer gets from the solution. Content and Application (C&A) Providers: In one of my previous posts, I had predicted that the mobile entertainment would increase in times of recession. I got many responses from the readers both for and against the argument. I still stand by it that if the content is really good and affordable, it could be the cheapest source of information and entertainment in such times. If there are applications that help in job search or skill enhancement, they are bound to find favor amongst consumers. Relevance and pricing would be the key. However, lack of available funding to finance the development of new applications, and faster migration to ad-funded services - would have an impact on revenue growth. C&A providers need to take a hard look at their business models and need to incorporate new ways of reducing cost of ownership for the consumers. C&A providers can look at sachet model to offer content at affordable pricepoints or they can offer unlimited access to content for a fixed fee. With the launch of new application stores by Nokia, Samsung, Microsoft, etc. the content providers should focus on the new application stores to compensate for any loss on the operator portal. 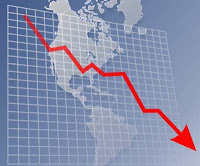 The economic downturn will push operators to release their grasp on the mobile content industry and open-up mobile Internet. This would be a great opportunity for the content providers to increase their revenue share and offer content at affordable price. In summary, it is clear from the above discussion that each of the players of the ecosystem would need to take a relook at their business models. The winners would be decided on the basis of the innovation that they can bring to their business models. The survival of organizations would not depend on how fit they are but how responsive are they to change.